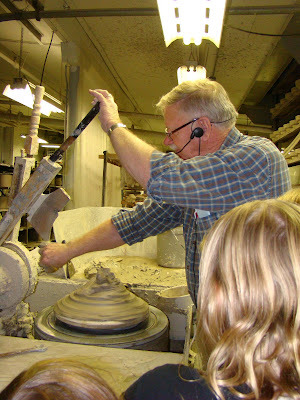 Last Wednesday, we went on a field trip to a company that makes stoneware pottery. 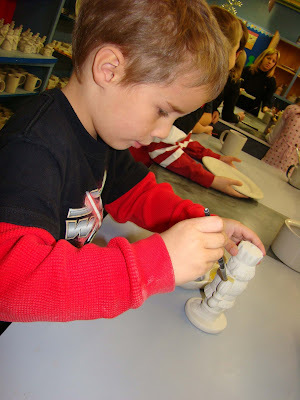 We got to see the clay they make it with. We learned about where they get the clay from. We saw them making a bowl from a mold. We saw where they fire the products. 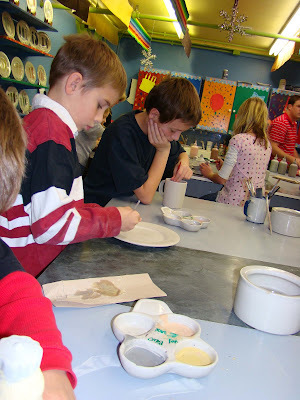 Then, we saw them painting and stamping products. When all was said and done, we painted our own products. Dominic painted a Nutcracker, Xavier a plate, Gabriel a mug, and I a plate. I'll post pictures when they're ready.